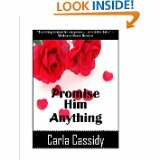 Just Another Blog all about me | Carla Cassidy Books - Don't Turn Out The Lights! Having seen you dance at Nationals, I happen to know you’re an AMAZING dancer (even with hip trouble). Love your blog! No one writes a suspense better than you.